A rickety Ambassador or a shining new Porsche, a JK or a TN registration plate, an accidental car or one which wouldn't start, none of it matters because we buy any car at the best price. 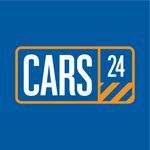 We have a simple solution to the most complex problem that a car owner faces selling his/ her car and our solution is deeply rooted in technology which is why it works. Execution is our game and we are killing it! At present, we trade a couple thousand cars every month, making us by far the most significant and largest player in the used car industry. Guess what? We are the fastest growing young business out of India in the last one and a half year all of it while still being in stealth mode! With 125 branches across 25 major cities in India, we are scaling up rapidly and are on the road to profitability. If you want to work with a business that has the potential to be one of the largest tech companies to emerge out of India, talk to us. We are looking for talented individuals who are excited about working long term, in building a valuable business. We want folks who value building things from the ground up. - Handle the entire logistics and operations channel for the region, from planning to implementation. - Overall responsibility of Logistics Operations, Fleet management, and Manpower. Must drive coordination of logistics team working with, Sales, Warehousing and Maintenance Teams. - Responsible for vendor and inventory management. - Be responsible for planning acquisition, allocation & strategic alliances with channel partners in the city within the allocated territory. - Achieve targeted territorial growth at a rate and margin consistent with the company's business plan. - Track sales/retail team metrics and report data to leadership on a regular basis. - Coach and develop direct reports. - Implement performance plans according to company protocol. - Business Development: Front lining the business development efforts by building a pipeline, Maintaining and mining existing customer relationships and cross-referrals. - Deal Making & Closure: Defining processes to structure deals, including valuation and negotiation; monitor financial performance of signed deals, troubleshoot problems with channel partners. - Industry & Market Intelligence: Keep abreast with developments of the sector and create opportunities for the organization. Be part of corporate strategic initiatives to start new products/businesses, grow existing ones, thought leadership, ideas. Also be responsible for day to day target achievement and business growth along with PNL of the city. - A person who is articulate, organized, detail-oriented and has the ability to multi-task. - Someone who enjoys a target oriented role. - Comfortable with ambiguity and unpredictable work hours.